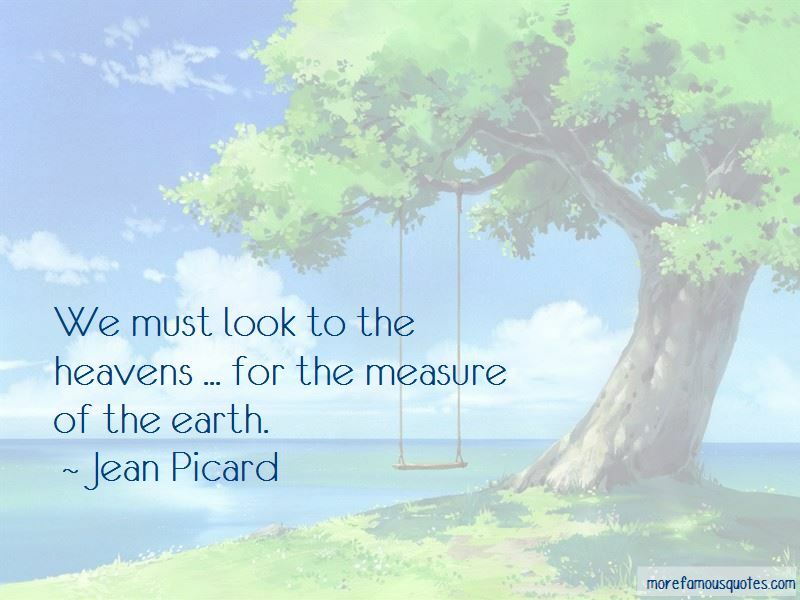 Enjoy the top 1 famous quotes, sayings and quotations by Jean Picard. We must look to the heavens ... for the measure of the earth. Want to see more pictures of Jean Picard quotes? Click on image of Jean Picard quotes to view full size. “What if you were a doctor and had a patient who demanded that you stop all the silly hand-washing in preparation for surgery” — Anonymous.